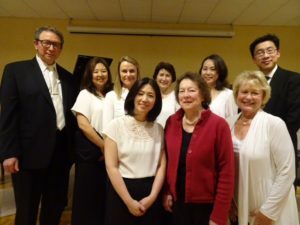 The DCA Duo Piano Group is an enthusiastic group of accomplished amateur pianists who play together for fun and to continue their musical education. Members practice weekly in their director’s studio, and perform twice-yearly concerts to help support the mission of the DCA. The group also performs for community groups and elder care facility residents. All Duo Piano Group members must be DCA members. Family fun for all! Every melody dances – please join us for a “taste” of wonderful piano dance music. We will travel to Jamaica, Ireland, Italy, Spain and beyond to bring you on a dance-themed journey around the world! Light refreshments offered. Performers: Yoko Araki, Kathy Edwards, Fiona Hallinan, Michael Karpilow, Lisa Nakamura and Yuan Wang. Guest violinist Darwin Shen. Music Director: Sandra Shaw Murphy. Reservations requested: online through below link, info@dariendca.org or 203-655-9050 extension 10. If you are trying to buy tickets online after 12:00pm on Friday, April 26, please pay at the door. 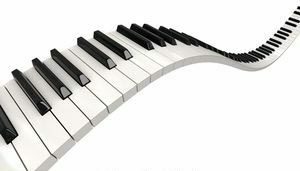 The DCA Duo Piano Group had its beginnings in 1948, when the DCA president formed the organization’s first Music Committee. 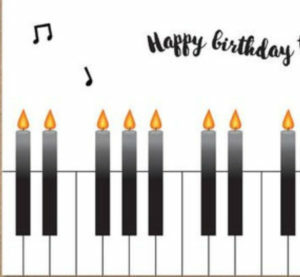 The Duo Piano Group’s Music Director, Sandra Shaw Murphy, is the Director of the Silvermine School of Music, Music Director of Greenfield Hill Congregational Church in Fairfield, and the Artistic Director of the Dr. Leon Tec Showcase for Outstanding Young Musicians. She is a noted duo-pianist, collaborative musician and teacher, and continues the tradition of helping the Duo Piano Group, as started by her mother, Juliet Shaw, an eminent musician and the group’s first coach. Performing members included Yoko Araki, Kathy Edwards, Fiona Hallinan, Michael Karpilow, Lisa Nakamura, Eri Nonami and Yuki Yamaguchi. Guest violinist Darwin Shen. Music Director: Sandra Shaw Murphy. Proceeds from the concert helped support the DCA’s non-profit mission, including college scholarships for Darien High School graduates. Click to sign up for DCA emails with upcoming Duo Piano Group Events and more.